Skip the crowded sights and tourist traps—hit the trail instead! 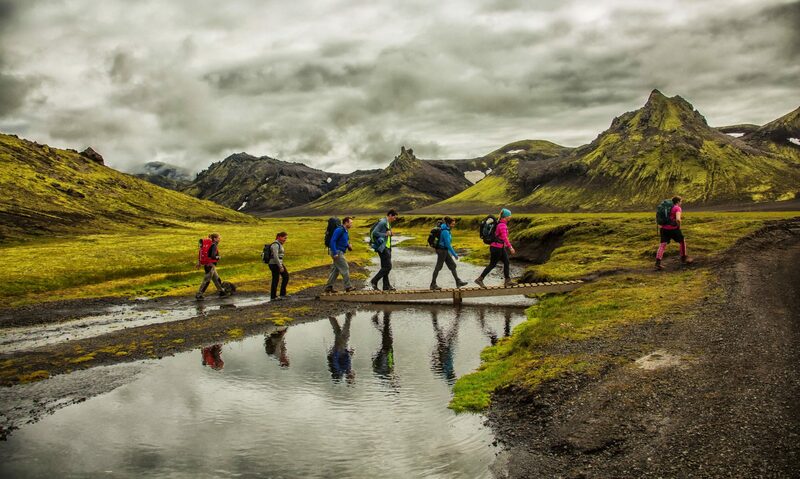 Discover Europe at a leisurely pace with a cultural hiking adventure. A walking vacation offers unexpected rewards: enjoy meaningful interactions with locals, explore charming rural villages, soak in rugged alpine views from rocky perches and absorb the landscape through all your senses. 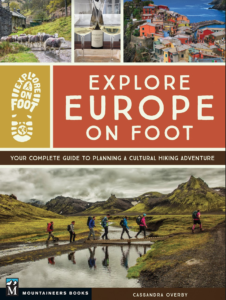 Explore Europe on Foot provides the detailed information you’ll need to dream up, plan and complete the slow-travel hike (or hikes!) of a lifetime. Breaking out of the traditional travel mold can be intimidating, but expert traveler Cassandra Overby takes you step-by-step through the process: how to choose the route that’s right for you, what to pack, how to find accommodations and food, how to deal with challenges along the way and much more. Fifteen spectacular handpicked trails, with itineraries ranging from one to fifteen days, feature classics such as the Tour du Mont Blanc in France and Italy and the English Way in Spain but you’ll also find lesser-known routes such as Portugal’s Rota Vicentina and Germany’s Moselsteig Trail. Prepare to be inspired to create an authentic, invigorating European experience. Want to order a signed copy? Send an email to exploreonfoot@gmail.com with the number of books you want, who you want them addressed to, your shipping information (for a shipping quote) and the best phone number to contact you at for payment information. You’ll have your signed copy in just a few days!